SmartQuant Discussion • View topic - SmartQuant QuantWeb - Going Cloud! Post subject: SmartQuant QuantWeb - Going Cloud! 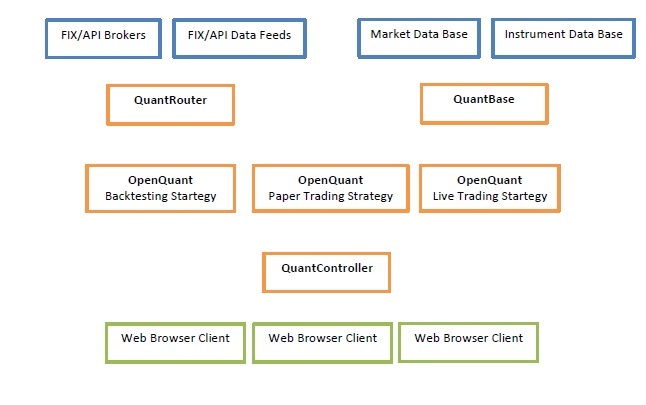 QuantWeb is a complete SmartQuant algo-trading infrastructure running on a cloud server with web browser front-end and serving multiple users. Such enterprise-wide setup can be deployed on your company cloud, in-house or co-located server. It can also be used in educational and social trading projects. 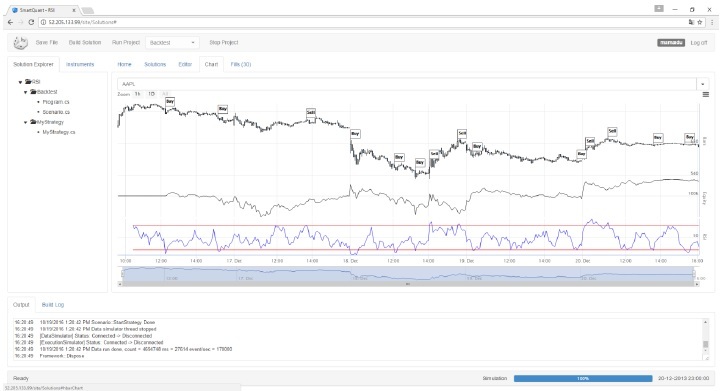 Go to http://www.smartquant.com/quantweb.html, Register for free demo account, click Run Project in the main menu and watch results in the Chart or Fill tabs. Then modify existing sample strategies or develop your own strategy to backtest it on included data sample, or to paper trade it live with simulated data feed. 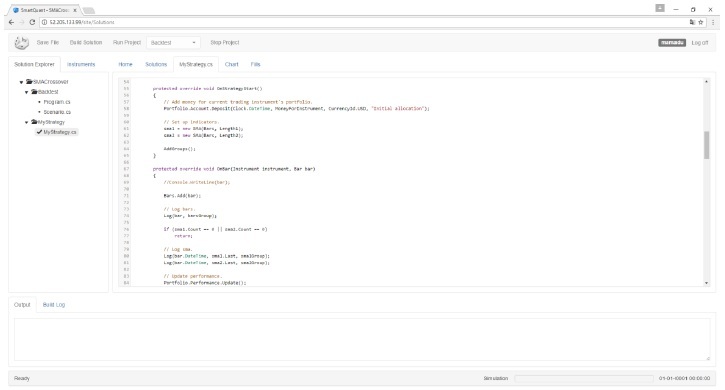 Develop a trading startegy in your web browser, then build, backtest or trade it live on a cloud server and moitor results in the browser window. Added strategy Log Server and Log Viewer. Now your backtest or live strategy logs (a stream of log events produced in your strategy - market data, executions, indicators, equity curve, text output and so on) get stored on the cloud Log Server and can be loaded into your Web Client for further analysis. Click on the log name in the Logs tab to load and view this strategy log in the chart, output and fills tabs. Post subject: Re: SmartQuant QuantWeb - Going Cloud! Added property tab and user command entry to QuantWeb http://www.smartquant.com/quantweb.html. Now It's possible to change strategy properties and send custom commands to strategy OnUserCommand event handler from the Web Client. Added strategy monitor to QuantWeb. Now you can view your custom strategy logs in convinient table format. // Log open close and position info to Strategy Monitor. Added instrument proprty and market data viewer.